Peru's breathtaking landscapes, mysterious ancient cultures, and present day cultural diversity capture the imaginations of visitors from all corners of the globe. The country stretches from the equator in the extreme north to the rugged deserts in the south where Peru borders Bolivia and Chile. The Andes run through Peru north to south, dividing the country into three distinct geographical regions and hundreds of micro-climates. Humans have inhabited Peru for thousands of years, and the country has been home to some of the most advanced civilizations in the world. Present day Peruvian culture is shaped by the rich heritage of the ancient civilizations in combination with recent influences from Europe and East Asia. Peru's recent history has been shaped by dictatorships, political upheaval, and economic hardships. 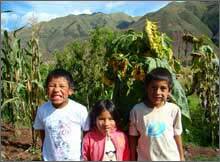 Despite daily struggles, Peruvians tend to be optimistic and warm. Family and friends are highly valued, and small gatherings tend to quickly turn into lively impromptu parties. ELI's programs are based in Lima, the Spanish capital on the Pacific Ocean, and in Cusco, the Incan capital high in the Andes. Volunteers in Lima will experience the excitement of living and working in one of the largest cities in South America. From the colonial streets of downtown to the chic high-rises of Miraflores, Lima has adventures for almost everyone. Volunteers have the opportunity to learn firsthand about day to day life in Lima through working with organizations devoted to serving street children, domestic workers, and migrant workers. Cusco is one of the oldest continuously inhabited cities in the Americas, and is a premier destination for world travelers. Bits of conversations in languages from all over the world echo through the narrow streets built by the Inca over 1000 years ago. Volunteers have the opportunity to experience Cusqueño life on a deeper level than most travelers through living with a local family and working with local organizations devoted to education, child welfare, and community development. After you fill out the application form on our website, our applications adviser will be in touch to help you with the next steps. 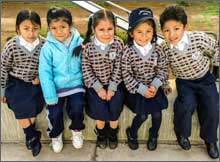 Volunteers in Cusco can work with an orphanage providing shelter to orphaned and abandoned children or at a daycare center for children of impoverished, low-income moms. 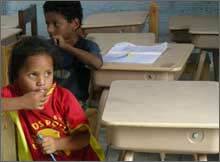 Both facilities emphasize education, nutrition and healthy child development. 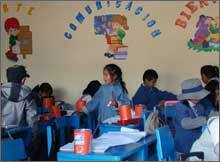 Volunteers can lead educational activities, play with the children, and help with various chores around the centers. Gain hands-on experience at an Ayacucho clinic or hospital. ELI offers placements at several low-income facilities where volunteers support staff doctors and nurses based on their experience and training. The hospitals and clinics provide a wide variety of services, including first aid, midwifery, dental care, pharmacy care, gynecological/OBGYN care to pregnant women and laboratory work. Public health students here will also gain valuable insights into Peru’s medical system and the local public health campaigns that focus on vaccination, hygiene, environmental protection and care for the home-bound. This 133-acre reserve on the southern coast of Peru has been a wildlife conservation research base for the past 30 years. It includes over 4 km of protected maritime land where scientists study local wildlife with a focus on how the animals interact with their environment, and how they’re affected by human activity. The area is home to a wealth of marine predators and features great biodiversity due to its unique geographical location within the Humboldt Current System (HCS) that runs along the majority of Peru´s coast. Its rich bird population includes Inca terns, Belcher´s gulls, snowy egrets, black oystercatchers, kelp gulls and many others. It is common to see many marine mammal species on site, animals such as marine otters, humpback whales, sperm whales, common dolphins, dusky dolphins, bottlenose dolphins, orca whales and other cetaceans. 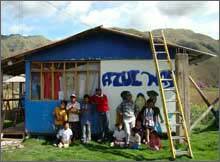 Volunteers in Peru stay with local host families. We believe that this is the best way to fully immerse in another culture and get the most from an international experience. All families are carefully screened and are well-respected members of the community. Host families do not speak English, creating a full immersion environment to help participants improve their Spanish language skills. Participants will have either a private or shared bedroom with secure storage (volunteer must provide own padlock). Bathrooms are shared with the host family. Volunteers will be provided with breakfast and dinner daily. Spanish classes are not included in the program fees but can be set up either at a language school or with a private teacher. The cost of language classes vary depending on the type of class and number of class members. You can arrive in Peru any Sunday, except for public holidays. If your program is in Lima or the Marine Reserve you will want to fly into the Jorge Chavez International Airport (LIM). For Cusco, you will fly into the Alejandro Velasco Astete International Airport (CUZ) and in Ayacucho, the Coronel FAP Alfredo Mendívil Duarte Airport (AYP). For Ayacucho, it's usually cheaper to first book your flight into Lima and then book a separate flight from Lima to Ayacucho. 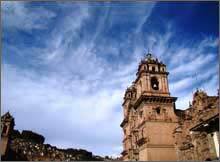 Flights into Ayacucho are usually in the early morning and mid-afternoon. 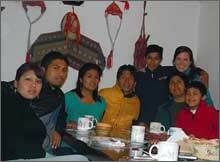 We can help you book a hostel in Lima if you need to spend a night there or you are welcome to spend a few days exploring Lima before continuing onto Ayacucho. Travel insurance is not included in the program fee. We prefer to let participants decide what kind of coverage they need. You can find more Insurance Tips Here.